Will you draw a Male someday? Maybe! It would be pretty much the same but with slightly curvier tusks and a bit more bulk. 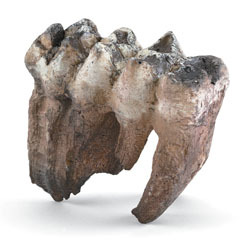 The mount in the photograph at Rutgers has replica male tusks. However the actual skeleton belonged to a female. 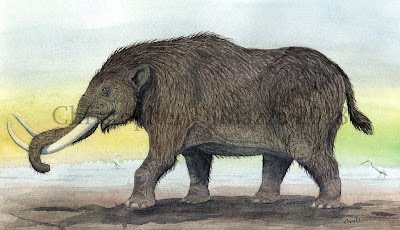 The real tusks she originally had are on display at her feet and were too fragile to actually put on the mount, itself.